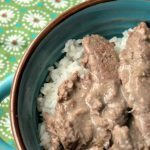 Thanks to CPL reader Joy Carlton for sending us this super simple recipe for Crock-Pot Cube Steak! There are only 2 ingredients which makes this recipe easy easy easy! 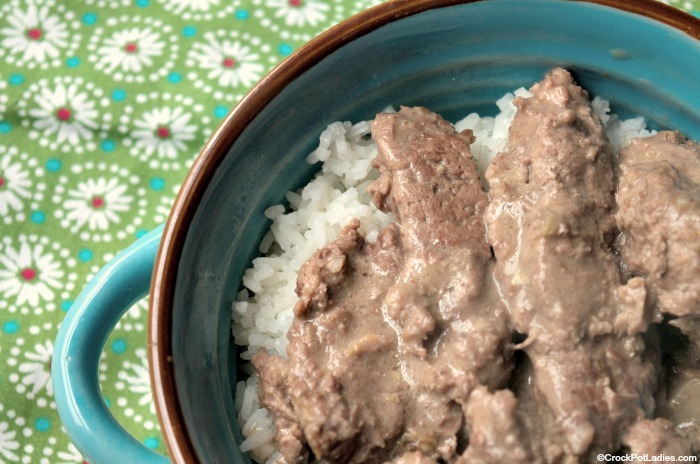 Serve this tender beef over rice (white or brown) or noodles for a hearty meal. Because cube steak is already a tenderized cut of meat you can only imagine that when it is simmered for several hours in a slow cooker how melt in your mouth tender this beef is going to be! 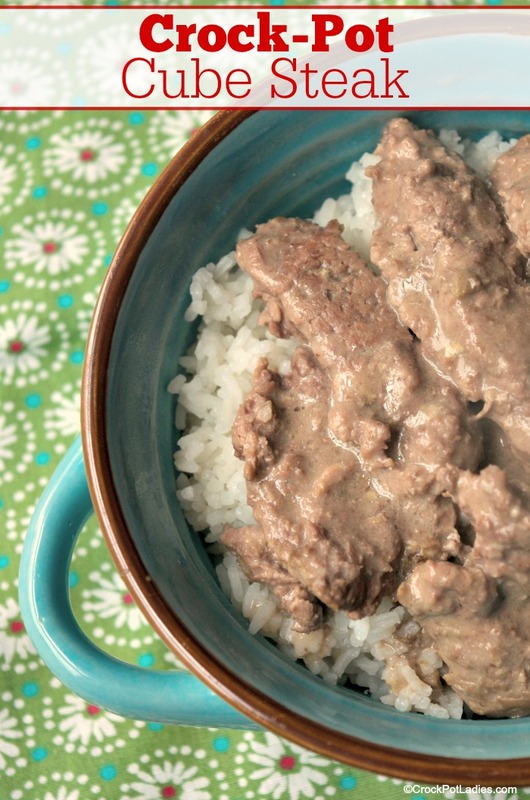 This simple 2 ingredient recipe makes for some super tender cube steak when slow cooked. Serve over rice or egg noodles that you have cooked on the stove-top. Place meat into the freezer for about 20 minutes to facilitate easier slicing. Cut meat into 1 inch strips and place into bottom of of a 5 quart or larger slow cooker. Pour can of soup over meat, cover and cook on LOW for 4 to 6 hours. Serve over cooked white or brown rice or cooked egg noodles. If you would like a thinner gravy add a little bit of water to the beef and cream of mushroom soup. About 1/4 of a cup should thin it out nicely. However, without adding water the meat will release it's own juices which will thin out the gravy too. Nutrition information based on just the beef and gravy and does not include any rice or egg noodles that you may serve this dish with.